Producers of Tuscany’s Brunello di Montalcino have been toasting their good fortune after Italian police foiled a plot to flood the market with nearly half a million counterfeit bottles of the prized red wine. A wine expert, who had obtained fake Brunello and Rosso di Montalcino labels and falsified certification in the region’s wine database, was selling lower-quality local wine as bulk supplies of the coveted red to unwitting local producers, police officers in Siena said. “It’s the biggest fraud ever carried out in the agricultural and food sector,” the force’s chief, Luca Albertario, added. Had the scam succeeded, it would have resulted in fake Brunello di Montalcino wines “ending up on the tables of half the restaurants in the world”, he added. 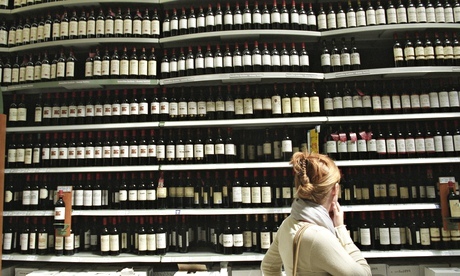 The 160,000 litres of falsified wine would have sold for up to €5m (£4m). The scandal is the second to hit the Italian wine sector this year. In May, police foiled a multimillion-euro scam in which table wine was being falsely labelled as from a winery belonging to the Italian tenor Andrea Bocelli’s estate.